Curious about the "ancient way of life" in Sabah? This half day trip will take you to Mari Mari Cultural Village, just 25 minutes out of Kota Kinabalu City. 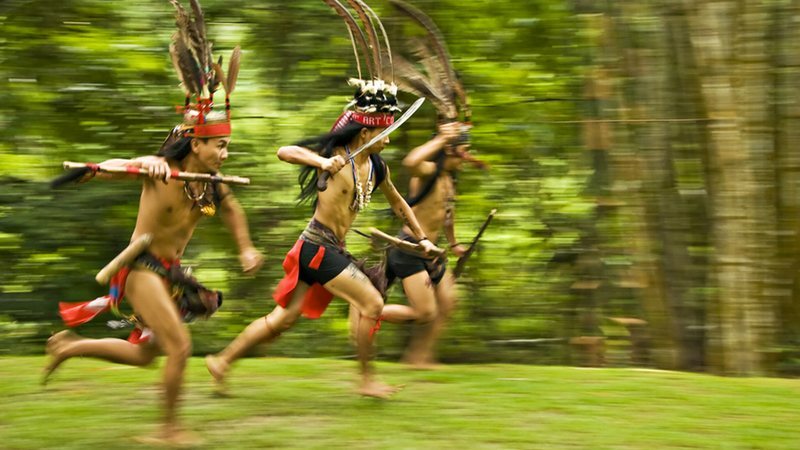 Upon arrival you will be warmly welcomed to the different homes of 5 ethnic tribes of Sabah. Each home was built by descendants of the tribes they represent and offers you a truly genuine experience, seeing everything in and around the village is like stepping back in time. The village portrays the fascinating differences in architecture, costumes and traditions of the five different tribes and you will get to see demonstrations of ancient activities coming into life such as the making of blowpipes, starting a fire from bamboo, tattoo-making. You will also get to sample traditional food & drink and enjoy a buffet meal as part of this unique trip into Sabah's past. Pick up from hotel and transfer to the village (pick up available at 3 times throughout the day). On arrival you will be briefed on the Village Rules... the Do & the Don'ts of the ancient way of life. As you enter via the suspension bridge over a gently flowing river, you will be greeted by the sight of the traditional houses. Take some time to visit each tribe traditional house, take part in house activities and stopover at demo huts. After the performance, you will head over to the dining hall to enjoy a traditional lunch / high tea / dinner (depending on tour start time) before the end of the tour. Time to bid a farewell to the village and join the transfer back to your hotel! Included- Hotel pick up/drop off, licensed tourist guide, guided house tour with live demonstration, interaction with the tribes, activities and cultural performances, buffet lunch / high tea.